Once you have created a "New Project", on your project dashboard and on the left-hand column you will have to option to click on "Import Text" (see image below). When you click on "Import Text" you will need to click on the "Evernote" icon (see image below). When you click on the "Evernote" icon, it will direct you to login into your Evernote account to import. 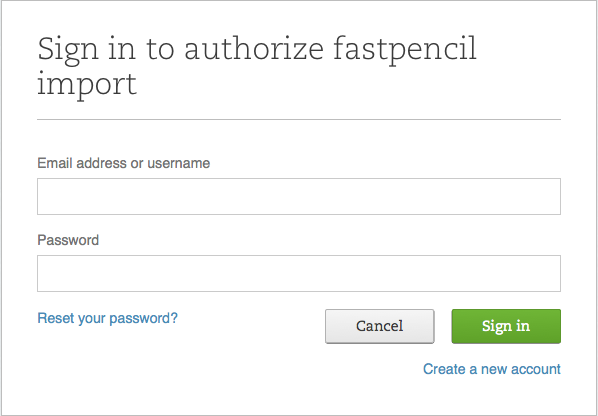 When you have authorized the FastPencil import functionality, FastPencil will then be able to scan your Evernote account to see what Notebooks/notes you have available to upload into the FastPencil writing tool. Step 1. Select the Notebook you would like to import your notes from and click "Find Notes". Step 2. Check or uncheck all the notes within the Notebook you would like to import and click "Import Notes". Step 3. When notes have completely been imported into the FastPencil writing tool. 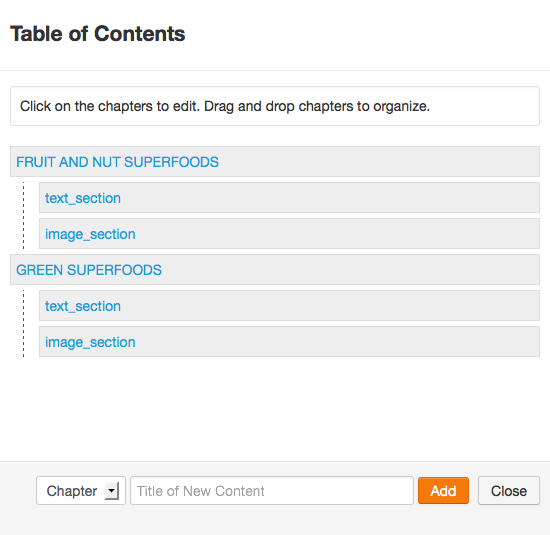 The note title will appear as a Chapter and any notes under the title will be separated into sections. The sections with text in the notes will be labeled as "text_section" and sections with images will be labeled as "image_section". Click here to open new Evernote App Center page for direct connection and permissions. Back to Project Dashboard to manage your book projects. You might want to try that again. How Do I Treat Links in eBooks vs. Print Books?